Brandon Office | The Right Lighting Makes a Difference in your Home! The lighting in your home can make a huge difference in atmosphere, mood and functionality and is so important! It can change a whole room's appearance, set a mood that's calm and inviting, or provide enough light in a work area sufficient to complete tasks. You have to be careful when planning your lighting to make sure it fits into every room appropriately for an optimal result. There are three lighting types that you should consider around the home depending on the functionality of the room or area. The first is Ambient lighting. It provides an area with overall illumination and tends to set the mood of a room. The most pleasant ambient lighting is natural light! Take advantage of windows, and use mirrors to enhance their ability to light up your rooms. 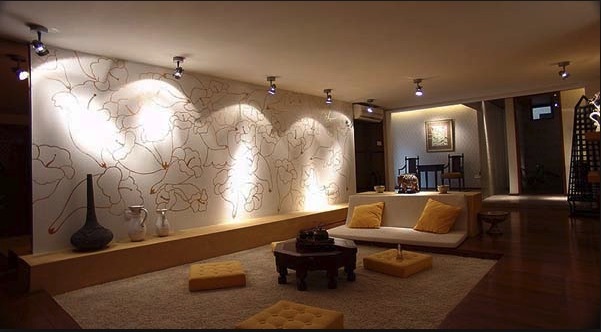 Add recessed lighting to any room that does not get enough natural light by installing pot or can lights that will leave no part of the room unlit. The second is Accent lighting. It focuses light on a particular area or object. Use accent lighting to highlight interior design, or even your ceiling! Direct light towards the objects/areas that you’d like guests to notice in your home. Backlighting and Uplighting are also good options and give kitchen and family room spaces a nice halo look. And remember to use small fixtures when you can; these can help cut utility costs and still provide plenty of lighting. Lastly, Task lighting, which illuminates an area for better accomplishing a specific activity. Table and desk lamps would fall into this category. Where could you use more concentrated light -above the sink, in pantry/cupboard spaces, by your favorite sitting chair? Consider creative looking pieces that will add character to your home while also giving you the light you need to get things done! Plan the lighting in your home around functionality, but also around design, so that light and shadows are projected in a way that’s most esthetically pleasing!